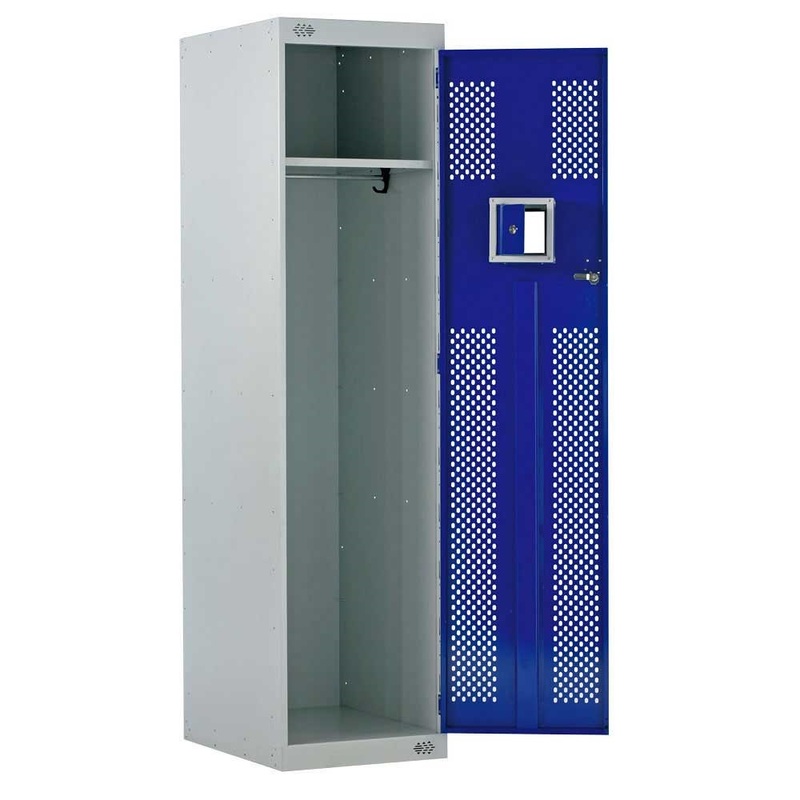 The 2 compartment police locker with clear fronted in-door compartment is a large volume storage device that has been specially created in order to accommodate police uniforms as well as plain clothes within the one secure locker. This means that police officers are afforded the luxury of having an easy onsite area in which they can change from plain clothes into their police uniforms. It also comes with a hanging rail, fixed heavy duty top shelf as well as a six inch lockable cube which is positioned on the door of the locker and features a clear Perspex front. The dual compartment police locker with clear fronted in-door compartment has been painted with BioCote in order to put a stop to the development of any potentially dangerous bacteria and fungi as well as to prevent the cross contamination of high contact frequency surfaces. 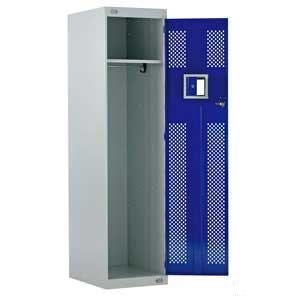 The size of the locker offers more than enough room for day to day clothes as well as police uniforms meaning that officers can change into either of their attires at the beginning or end of a shift in the police station itself, with everything contained in the one location which is both safe and secure. 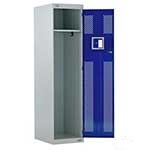 The 2 compartment police locker with clear fronted in-door compartment is specially designed for police use.